St. Patrick’s Church in the Archdiocese of New Orleans will be offering a Solemn High Requiem Mass for All Souls’ Day, with Mozart’s Requiem sung by the Choir of St. Patrick’s and a chamber orchestra, starting at 6:30 pm. 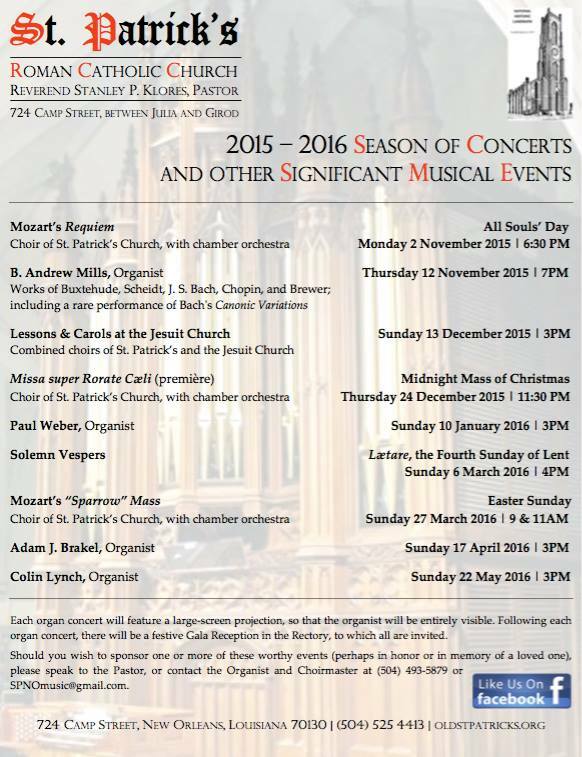 For details of this and their impressive musical calendar see below. The website for St Patrick’s is here.